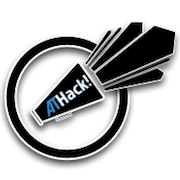 This ATHackathon is non-competitive and meant to serve the community. We are fostering collaboration between all teams. There will be a crowd favorite voted on by all teams present. Human trafficking is a multi-billion dollar criminal industry that enslaves nearly 21 million people around the world. Reliable data remains a major challenge at the heart of anti-human trafficking efforts. Lack of data = lack of issue legitimacy, data-informed solutions, and public awareness. Our inaugural ATHackathon will create innovative tools to track and analyze data related to trafficking. We are looking to the community to make a concerted effort towards solving a global and local issue. Incredible innovation towards social good can manifest with the combined knowledge and wisdom of activists and technologists. Bring together 100+ diverse participants to pitch and create tools to track and analyze data related to trafficking. Increase awareness of human trafficking issues within the tech community. Build connections across the tech and social justice communities to foster ongoing collaboration. ATHack! (pronounced "attack") is a group of activists and technologists sourcing new and innovative data-driven ideas to solve major social issues. Our inaugural hackathon is focused on developing tools and solutions that will support anti-human trafficking efforts. All are welcome to attend: Activists, Technologists, Coders, Designers, Survivors, Healthcare Providers, Law Enforcement, Policy Makers, NGOs, and the General Public. ALL THOSE WHO REGISTERED ON DEVPOST BEFORE APRIL 26, 2016 SHOULD ALSO SIGN UP VIA EVENTBRITE. Is the project sustainable within the unique context of the organization(s) or effort(s) it is aiming to support? Can it actually function and thrive in terms of technology, process, and execution? How does the project make an impact and to whom? How wide and important is the impact? Is the project well-thought out and designed? Has the team considered the pros/cons of their proposed solution? Have they considered the potential negative and unintended consequences? What are their plans for mitigation?